Smart infrastructure: That's a phrase likely to crop up in many cities' planning sessions when the order of the day is finding ways for a connected and environmentally sane environment. The mayor of Los Angeles appears to be proud of seeing one example in the city's light poles, where some will go "smart" with Philips and Ericsson technologies. 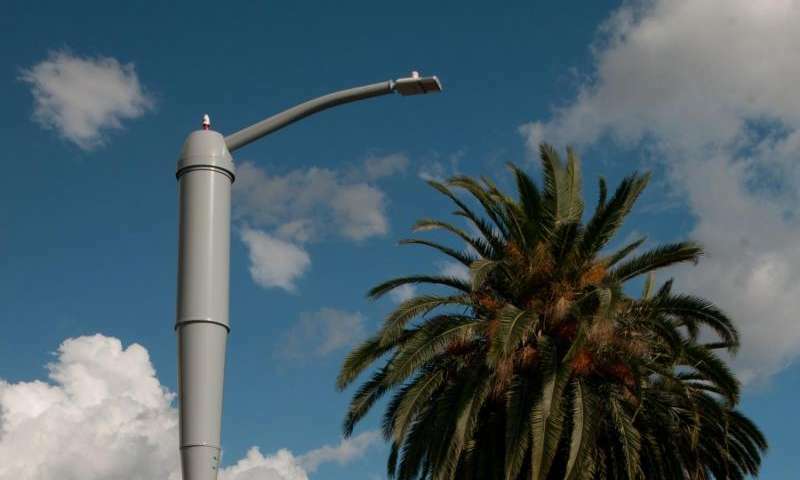 Philips' SmartPoles street lighting is set for deployment in Los Angeles. Royal Philips made the announcement earlier this week. It has built in 4G LTE wireless technology from Ericsson. 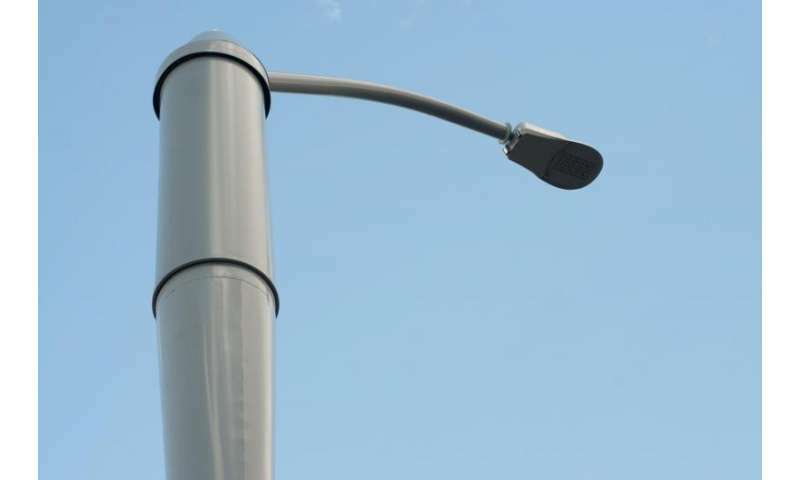 The 100 LED light poles are to be fitted with new small cell technology from Ericsson. The latter has embraced a concept to integrate their small cells solution with streetlight poles. That way, optimal coverage with minimal visual impact is possible. The effort to upgrade L.A.'s street lights is a joint project between the city, Philips and Ericcson. The deployment carries a twin benefit of (1) public lighting which is energy-efficient and (2) improved network performance in dense areas. The time plan: A Thursday announcement from the Mayor's Office said that Mayor Garcetti had unveiled "the nation's first installation" of Philips SmartPoles streetlights, and that 100 of the streetlights will be installed across Los Angeles in the first year; 500 additional poles will be added over the next four years. According to a report from Annenberg Media Center, "The city plans on having 600 in operation by 2018." The new pole on Thursday was described by the Annenberg center as "a cross between a street light and a cellphone tower." They said, "So far the Bureau of Street Lighting has installed 22 Smart Poles, mostly in Hollywood." The LED lighting for streets will help LA meet sustainability goals. What is more, the mayor has a Resilience by Design plan which outlines stronger earthquake standards. "This increased reliability for the wireless network is especially important in the event of emergencies—so that smart phones stay online when they are needed most," said the office release. Beyond LA, cities could in theory play an important role as "eco-partners." Stu Robarts said in Gizmag: "Cellular data traffic is growing at a heck of a rate. Indeed, Philips expects it to increase 900 percent by 2020 – and so the infrastructure to handle it must grow too. With street lights being ubiquitous in towns and cities, they provide a good basis for that infrastructure." As for the economics of the initiative, Peter Marx, Chief Technology Officer, City of Los Angeles, wrote in Medium, "By leasing the valuable digital real estate on top of city light poles, this project will self-fund, resulting in no cost to tax payers and generating hundreds of thousands of dollars of revenue for the city." Solar powered network hardware; assembled by robots; installed, maintained and augmented by drones, and the cost of connectivity of, for, and by the public, approaches zero. No need for new taxes, and especially no need for pass-the-cost-to-the-consumer tax-dodging pocket-gouging data-throttling eavesdropping "service providers." "Solar powered network hardware; assembled by robots; installed, maintained and augmented by drones, and the cost of connectivity of, for, and by the public, approaches zero." In what parallel universe? Every bit of your list is massively expensive in reality. Smartpoles are all well and good but it would be a hell of a lot smarter if they powered by solar energy, if only in part. "In what parallel universe? Every bit of your list is massively expensive in reality." This universe. Regarding network hardware, the whole industry is already highly automated. Product delivery via drones is ready to go – just waiting on regulators to catch up with the future. A company like Amazon wouldn't be chomping at the bit if it were perceived as "massively expensive" – in fact, the opposite is true: it's massively efficient and economical. Eikka, please don't say you prefer the status quo (the part of my comment you didn't quote). Something about a drone carrying 120+ metric tons of tower pieces scares me. Drones assembling that scares me even more. Disclaimer: I build and work on cell sites for a living and nothing EVER goes according to the plans. Even common, "stock" tower pieces vary substantially from one to the next requiring "adjustment" to fit the situation.